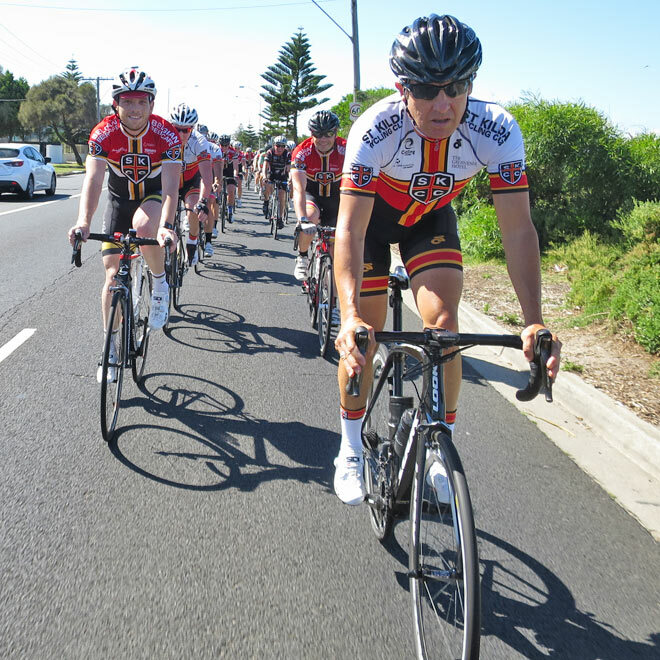 Riding in a bunch requires many hours of training to run like a well oiled machine with all the individual parts woking in unison and harmony to produce a collective benefit. It all starts with the basic formation with all riders even spaced in tight formation to those riders directly in front and to the side, this ensures a cohesive unit that not only optimises the groups efficiency in breaking through the wind and conserving energy but being respectful of other road users. Think about when you see a small group break away from the peloton (Tour de France), When all the riders contribute and share the work load without pushing to hard to the weaker riders, collectively the breakaway can stay away longer. 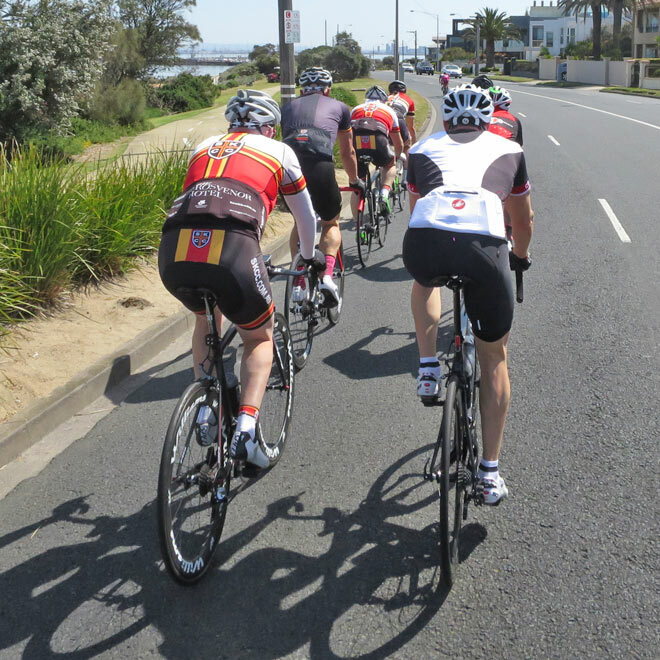 When one or two riders do not work together, the chances of succeeding are substantially reduced. 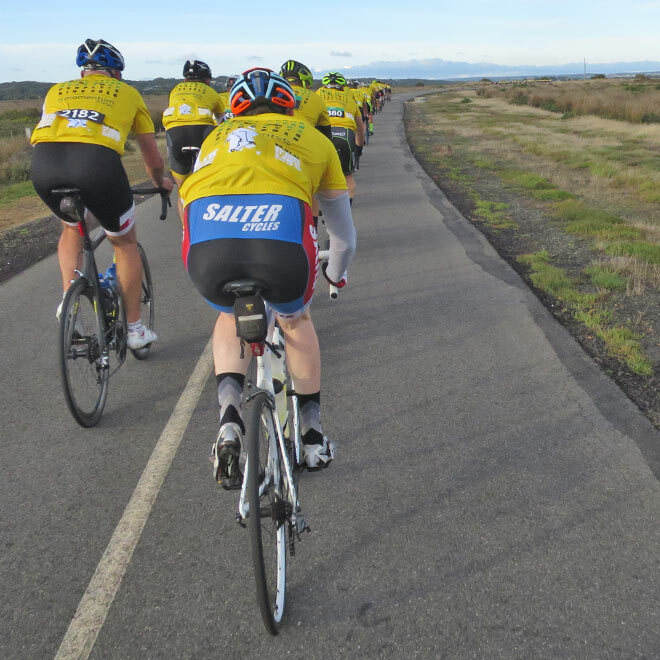 While forming a very tight formation may not be practical on an open ride, you can still maintain a safe distance to those riders around you and enjoy the benefits. By ensuring that everyone in your bunch is working together for a common goal, everyone can enjoy the ride. By working together as a group and being inclusive of all riders, you bunch will be able to cover greater distances at a faster speed. The stronger riders can focus on endurance rather than pure speed by spending more time at the front of the group while the weaker riders can spend more time recovering and ride at a higher speed for a shorter time. Ultimately it's about managing the varying strengths and weaknesses of each rider together with the energy expenditure and ultimately the bunch will greatly benefit. Like the old saying "the whole is more than the sum of its part.